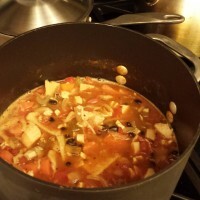 I bought a container of chicken tortilla soup at Whole Foods the other day thinking that it would probably be a healthier version and because I love really good chicken tortilla soup. Then I got it home and looked at the nutrition label. And saw that one serving (a measly cup) had over 1,000mg of sodium! Not much different than your average canned soup. Um. Not eating that. I knew I could do better so I created my own recipe that has way less salt and way more vegetables and lots of chicken chunks. Plus, it couldn’t have been easier to make. You’ve got to love “chop everything and throw it into a pot” recipes, right? 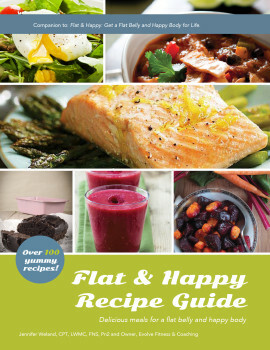 This recipe is included in my Flat & Happy Recipe Guide. Reduce the heat to low, add the tortilla pieces, and stir to combine. Simmer, stirring occasionally, until the tortillas have disintegrated and the soup has thickened, about 1 hour. 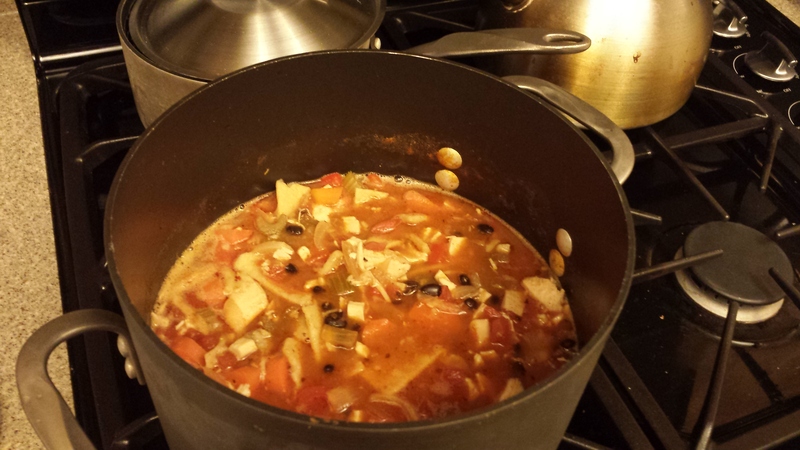 When the soup is ready, add the chicken and black beans and stir to combine. Simmer until the flavors meld, about 15 minutes. Taste and season with salt and pepper as needed. Serve the soup topped with fresh chopped cilantro and avocado slices.